Trinseo manufacturers customized polymers and plastics for the construction, automotive, home electronics, packaging, medical, rubber and tire, and consumer goods industry. Its global operating center is in Berwyn, Pennsylvania. Trinseo is one the largest and best known companies in the world, successfully carving business away from BASF and DuPont. Trinseo operates two major units: Emulsion Polymers Unit and Engineered Polymers Unit. It has 19 manufacturing sites and 67 manufacturing plants, 2,100 employees based in 27 countries around the world, with a major presence in Europe where, in fact, 60 percent of its revenues are earned. 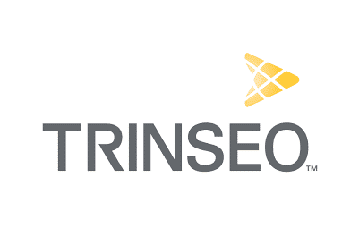 Trinseo went public in 2014. Formerly known as Styron, it changed its name to Trinseo in February, 2015. The new name, which means intrinsic, reflects the company’s evolution into a global company that uses technology to develop the most cutting edge products to meets the intrinsic needs of its international customer base. Trinseo strives to be a global leader in the manufacture of plastic and polymer materials. To this end, its mission plan has three main cornerstones: (1) Trinseo invests heavily in the development of new technologies, bringing to market and to production facilities the most innovative tools that produce the highest quality product. (2) Trinseo recruits the brightest and most skilled professionals, with programs that develop their talent so that each employee can thrive and grow. (3) Customer satisfaction is a priority. Trinseo utilizes a number of consumer outreach strategies to meet the unique needs of each customer to the fullest extent possible. Trinseo, formerly Styron, became an independent company in 2010. It evolved from Dow Chemical Company. Four units within Dow were combined to form the new Styron: (1) Paper and Carpet latex; (2) Styrenics; (3) Polycarbonate and Compounds & blends; and (4) Synthetic rubber. Trinseo’s manufacturing sites are located on four continents: Europe, North America, Latin America and Asia Pacific. European plants are in the countries of: Germany, Finland, Switzerland, Spain, Italy, Sweden, France, and Belgium. North American plants are in: Pennsylvania, Connecticut, Georgia and Michigan. Trinseo manufactures latex, plastics and synthetic rubber products used across a broad spectrum of industries. 13 manufacturing facilities are producing carpet, paper and performance latex. Trinseo focuses on specialized polymers, including: engineered polymers, polystyrene, polycarbonate, ABS, and polypropylene materials. Trinseo is one of the world’s foremost producers of synthetic rubber products that supply the industrial rubber goods, tire and plastic modification industries, including: High-Cis Polybutadiene Rubber, Low-Cis Polybutadiene Rubber, Solution Styrene Butadiene Rubber and Cold Polymerized Emulsion Styrene Butadiene Rubber. Trinseo maintains a large number of initiatives focused on designing and delivering the best product in a way that sustains the world and strengthens the communities that host manufacturing facilities. For example, Trinseo is a member of the Responsible Care initiative which was developed in Canada and involves chemical manufacturing companies throughout the world. Initiative participants pledge to manufacture and distribute product in the most eco-friendly manner possible, to employ the highest standards of safety within manufacturing facilities and to involve public stakeholders in the decision making process.